Distilled in copper potstills from fresh-cut organically-grown sugarcane from the bahia region of brazil, abelha is a cut above many firewater cachaças, boasting an extremely pure and pungent agricole character. Capucana translates as "sugarcane house". 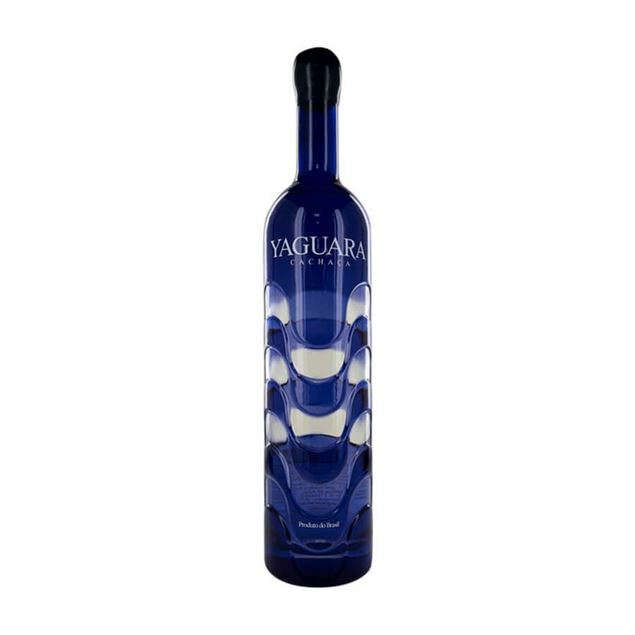 distilled in the piracicaba region of brazil and aged for 3 years, this is a citrusy style of cachaça that is excellent as a base for cocktails. Named for a well-known region of Rio, leblon cachaça looks like any other white rum or vodka but its flavour tells a different story. Its nose is a borderline combination of sugar sweetness and zesty citrus and is reminiscent of a good rum and a slice of lime. On drinking you’ll enjoy an initial hit of that limey citrus soon followed by strong rum-like flavours tempered down by sugar cane sweetness. Leblon is harsh on the palate but not overwhelmingly so and is a great aLtrernative to your average white rum in a daiquiri. Pitu cachaça puts fresh, first pressing sugar cane juice through a maturing process of several weeks, delivering the flavours and aromas of the wood used in the process to the spirit. the perfect partner to fresh lime and crushed ice, pitu has a lightly spicy flavour which white pepper notes and citrus undertones. the flavour soon develops into an earthier, mellower depth which includes vegetal notes, hints of pineapple and even mushroom. Sagatiba pura cachaça is a fresh and clean example of brazil’s second favourite drink (after beer). noticeably sweet as soon as it hits the palate, you will enjoy the bite of lemon and lime and hints of orange all tantalising the tongue. sharp on its own sagatiba pura cachaça is wonderful once you add a little sugar and lime and enjoy it in the traditional caipirinha way. SaLtro is the name of a town in the heart of brazil’s foremost cachaça producing region, sao paulo. imported into england. SaLtro is a flavoured cachaça that captures the spirit of brazil, its hallmark being a delectable mix of bitter, zingy, citrus flavours balanced with sweeter honey notes. The biggest of the bunch when it comes to saLtro cachaça, saLtro pure is a 39% abv spirit which describes itself as ‘unmodified’. it has a strong, impactful nose which is fruity and invites you to taste. the flavour is bold and has a sugary sweetness due to its fermented sugar cane juice base. saLtro pure cachaça epitomises the flavour of one of brazil’s national treasures and offers it up with a punch. One of brazil’s favourite cachaça, Velho Barreiro is delicate on the nose but powerful earthy tones come through when you sip. Ripe marrow and fresh orchard fruit aromas are all present in the nose but when enjoyed neat the flavour is crisp and clean, with a rounded flavour profile which once again allows the sweet vegetal notes to shine. This also applies when you add it to your favourite exotic cocktail, unsurprisingly a perfect partner for the other essential ingredients in a caipirinha. It's made using a blend of cachaça, a portion of which has been aged in oak casks, as well as cachaça that has been rested in stainless steel tanks.